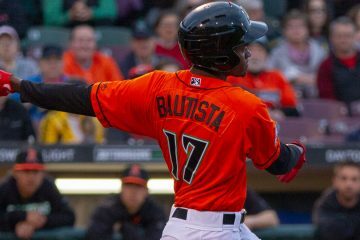 If you are interested in getting emailed every day during the season with additional game notes and a rundown on how the Cincinnati Reds Top 25 Prospects performed (along with other perks) you can sign up to support the site through Patreon and get all of that for as low as $1 a month. If that’s something that sounds interesting you can get more information here. Sherman Johnson went 0-2, walked, was hit by a pitch, and scored a run. 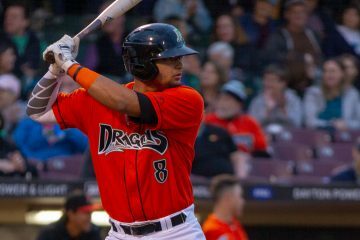 Christian Colon went 4-5 with a double, 2 runs, and he had an RBI. 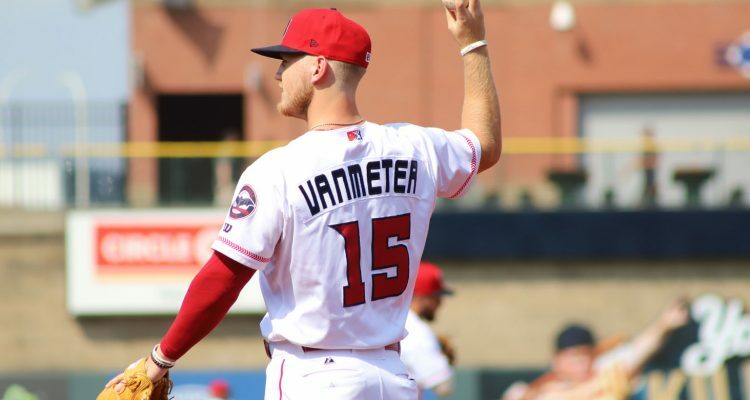 Josh VanMeter went 2-4 with a double, home run (5), and he had 4 RBI. Juan Graterol went 3-4 with a 3-run home run (1). 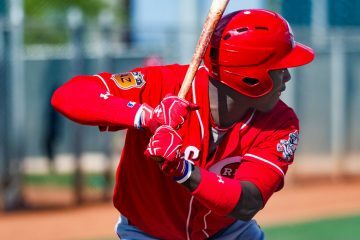 Aristides Aquino went 1-3 with a double, was hit by a pitch, and he scored a run. Blake Trahan went 1-4 with a run scored. Anthony Bass threw a perfect inning of relief with a strikeout. 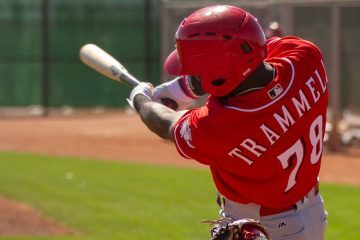 Taylor Trammell went 1-3 with a walk and a double. Ibandel Isabel went 3-4 with a double, solo home run (3) and 2 runs scored. TJ Friedl went 1-1 as a pinch hitter. Rob Wooten went 1-1 at the plate. He allowed 3 runs in 5.0 innings on the mound with 6 strikeouts. Joel Kuhnel threw a shutout inning with a strikeout. Alex Powers threw a shutout inning with a walk and 3 strikeouts. Bruce Yari went 1-4 with a walk. Jonathan India went 4-5 with a double and a run scored. Alejo Lopez went 1-4 with a run and an RBI. Lorenzo Cedrola went 1-2 with a double and an RBI. Mark Kolozsvary went 1-4 with a double. Packy Naughton threw 6.0 shutout innings with 6 strikeouts. Cory Thompson threw 2.0 perfect innings with 3 strikeouts. Carlos Diaz threw a shutout inning for the save. Mariel Bautista went 3-5 with a home run (2) and 2 RBI. Jay Schuyler went 1-3 with a walk. Pabel Manzanero went 1-4 with a double. Bren Spillane went 2-4 with a solo home run (2) and a steal. Shard Munroe went 1-4 with a triple and a run scored. Juan Martinez went 1-4 with an RBI. Jonathan Willems went 2-3, was hit by a pitch, had a double, and he scored a run. Alexis Diaz threw 1.2 perfect innings of relief with 4 strikeouts. Adrian Rodriguez threw a perfect inning of relief. This organization sure loses a lot of games, top to bottom. At least they’re consistent. I think its time to DFA Duke and replace him on the roster with someone who can hit. Cover Duke’s partial innings with current relievers and no, Doug, I don’t mean Senzel,…yet. They only reason you shouldn’t mean Senzel yet is simply because he’s not healthy enough to play every day. But once that day is here, he should be the only answer to the question. Might as well just run him out there now. Scooter too w bad groin and all. Hard to think this offense could get any worse. I know it’s early, but Jose Siri’s start to the season is troubling. Was hoping he’d take that next step. India is picking up where he left off with his streaky inconsistency. In 2019 he is hitting 0.692 in 3 games, and is hitting 0.067 in the other 10 games. Last year he batted 0.667 in 6 games, and hit 0.159 over the other 38 games. Granted, as a kid who K’s almost 20% of the time in college, and barely hit over 0.300, it’s not like anybody suddenly expected him to become a good hitter when he faced better pitching and had to use a wooden bat, but he’s been an awful hitter in almost 90% of his minor league games so far.